Over the summer, Cyprus was back in the news. The UN mediator Espen Barth Eide, assisted by American and British diplomats, worked overtime to convince the international community that the “parties” in the Cyprus talks were close to a “strategic agreement” resolving this long standing international problem. The term “strategic agreement” appears to have replaced the term “comprehensive settlement” used in the past. The change in terminology does not change the reality either of the aims or of the anticipated outcome of the UN sponsored talks on Cyprus. Eide’s optimistic account was supplemented by warnings to the “parties” that failure to reach a comprehensive settlement would mean the end of the road for the reunification of Cyprus. These warnings had reminders of the final stages of the negotiations that led to the failed Annan Plan in 2004. (a) It excluded the internationally recognized Republic of Cyprus which Turkey considers to be “defunct.” Turkey demanded that only the “leader” of the Greek Cypriot community would speak on behalf of the Greek Cypriots. That person was the internationally recognized president of the Republic. Thus, the President of the Republic was downgraded to a “community leader” and was equated to the unrecognized head of the Turkish Cypriot community. (b) The EU was invited to attend, but only in the capacity of an “observer.”. It is interesting to note that the UN Secretary General, in his most recent report on Cyprus (28 September 2017), qualifies all references to the EU with a statement on its “observer” status. The same “observer” role was assigned to the EU during the final stages of the negotiations leading to the failed Annan Plan in 2004. The EU was expected to legitimize derogations from the acquis communautaire agreed upon by the “parties” and accept security arrangements granting Turkey, a non-EU member, guarantor and intervention rights in the affairs of an EU member! 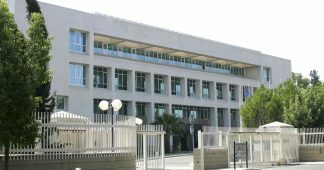 Turkey objected to any other EU involvement given that it is not a member of the organization while the Republic of Cyprus is. (c) The permanent members of the UN Security Council were also excluded, even though the UN Security Council remains actively engaged in the Cyprus problem since December 1963, controls the operations of the UN Peacekeeping Force in Cyprus, and has authorized the “good offices” of the UN in Cyprus. However, American and British diplomats shadowed the talks offering compromise formulas that would allow Turkey to retain some form of guarantor status in the new Cyprus republic. Turkey objected to the presence of Russia, France and China as they have not supported Turkey’s objectives in Cyprus. (d) The Crans-Montana meeting was the culmination of Turkey’s diplomatic efforts to redefine the Cyprus problem from one of invasion and continuing occupation to an inter-communal conflict requiring constitutional resolution. The theater of the absurd played out at Crans-Montana should not have come as a surprise. It was the natural conclusion of the principles for the resolution of the Cyprus problem detailed in the February 11, 2014 “Joint Declaration” that guided the latest round of UN talks. Following the failure of the Annan Plan in 2004 and Annan’s heavy handed binding arbitration tactics, UN mediators Downer and Eide defined the new talks as “Cypriot owned” with the UN playing the role of a facilitator. In reality, both former UN mediators and their staff were actively engaged in the search of a solution that met Turkey’s demands, in addition to drafting and presenting key constitutional non-papers and “bridging” proposals on issues where differences existed between the two sides. 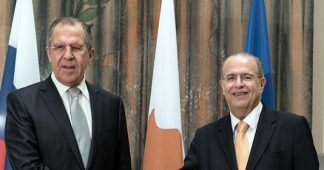 The first major Greek Cypriot negotiating error and concession was that the current government of Cyprus accepted the UN and the Turkish demand that the new round of talks begin from the point the previous round of talks had ended in deadlock. Consequently, the UN, Turkey, the UK and the US took for granted all previous Greek Cypriot concessions while Turkey raised new demands in order to “encourage” its Turkish Cypriot surrogates to return to the talks. 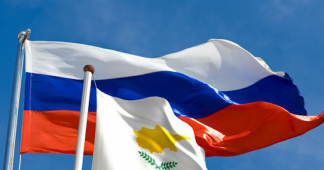 Moreover, the government of the Republic agreed to negotiation terms undermining its internationally recognized status while implicitly upgrading the unrecognized puppet state set up in occupied Cyprus by the Turkish army. 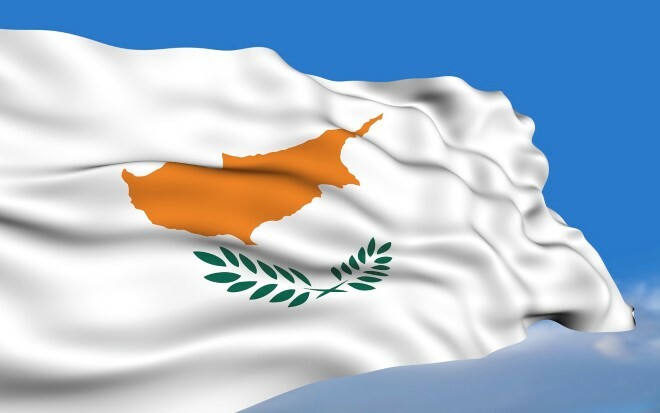 Another major negotiating error by the government of the Republic of Cyprus has been the emphasis given to the search for a constitutional solution of an inter-communal problem rather than addressing the Cyprus problem as one of invasion and occupation. One of the consequences of this decision has been the reliance on initiatives of foreign mediators for the formulation of new constitutional formulas to resolve the Cyprus problem. Successive Cypriot governments agreed to constructive ambiguity in the phrasing of constitutional and other texts drafted by these mediators. This process reached its apogee after 1998 with the mediation of Richard Holbrooke of the US and David Hannay of the UK and has continued since then. Constitutional abstractions meaning different things to each of the parties were introduced in negotiating texts and were incorporated in British drafted UN Security Council resolutions on Cyprus. This is how the unprecedented constitutional construct of the “bi-zonal, bi-communal federation” was born and has now become the guiding principle for the resolution of the Cyprus problem. What kind of a political system would be created under this unprecedented constitutional abstraction? (a) A new state would be created by “virgin birth” to replace the internationally recognized Republic of Cyprus. The new state would consist of a loose confederation of two largely autonomous and ethnically divided states. It would legitimize the outcome of the 1974 Turkish invasion by acknowledging the puppet state set up by the Turkish army in occupied Cyprus along with all its illegal actions and decisions. This “state” has been declared illegal by unanimous UN Security Council resolutions (see resolution 541, 18 November 1983 and 367 of 12 March 1975), by other international organizations and European courts. A new republic would replace the internationally recognized Republic of Cyprus because Turkey considers it to be “defunct”. The original “Republic of Cyprus” is nowhere to be found in any of the UN documents describing the structure and functions of the new state. (b) UN Security Council resolutions describe the new republic as a “bi-zonal, bi-communal federation.” Anyone familiar with the difference between a federation and a confederation will realize that the UN plan will replace the Republic of Cyprus with a very loose confederation of two ethnically divided and largely autonomous states. The proposed constitutional framework contains no federal supremacy clause, while the limited federal powers emanate from and depend on the consent of the two constituent states. Documents leaked from the talks describe a dysfunctional decision-making system at the “federal” level replete with and controlled by Turkish Cypriot minority vetoes in all areas of national policy. This system will bring the operations of the new state into a worse constitutional deadlock than the Republic of Cyprus faced in December 1963 under the imposed dysfunctional independence agreements. Following the constitutional crisis of 1963, the government of the Republic of Cyprus remained in the hands of the Greek Cypriot majority under the leadership of President Makarios and his able diplomatic and legal team. The government of Cyprus was able to defend and protect its legitimacy and the sovereignty of the Republic of Cyprus in the UN Security Council. A potential collapse of the new republic will leave behind two unrecognized states in search of international recognition. Historical hindsight shows how correct the prediction of UN mediator Galo Plaza was. In his historic 1965 report on Cyprus Plaza rejected Turkey’s federation proposals for Cyprus both because they were unworkable and would set the foundation for the partition of the Republic. (d)The documents exchanged in the most recent talks speak of “Turkish Cypriots” without any distinction between the illegal Turkish settlers and the legitimate native born Turkish Cypriots. The settlers now outnumber the native Turkish Cypriots by a 3:1 ratio. Under vaguely defined guidelines, nearly all illegal settlers will remain as citizens of the new Cyprus republic. All illegal settlers will be allowed to vote in the referendum on the new agreement, much as they did in the 2004 referendum on the failed Annan Plan. The illegal Turkish settlers will dominate not only the politics of what will become the Turkish Cypriot “constituent state” but will also dominate the politics and policies of the new republic because of the veto powers granted to the “Turkish Cypriots” at the national level. Thus, the illegal settlers will become co-founders of the new republic. The dominance of the Turkish settlers raises another important political and legal issue. Citizens of any democratic state must enjoy the equal protection of the law and have the opportunity to participate equally and freely in the affairs of the state. However, there is no other democratic state where an 18% minority, consisting primarily of illegal settlers who have been granted “citizenship” by an illegal authority, controls the politics and the decision-making mechanisms of the country. Turkey, since 1974, has advanced various absurd theories on the application of “equality” among the two communities, including equal representation, a rotating presidency and veto powers for the “Turkish Cypriots” in all matters of national policy under the guise of “effective participation”. In view of the demographic profile and the political structures of the Turkish Cypriot “constituent state”, Turkey will continue to control Turkish Cypriot affairs as well as the national policies and politics of the new state. In plain words, the new Cypriot state will become a Turkish protectorate. This is why Turkey insists on retaining guarantor powers over the new state. Ironically, the Turkish government has failed to apply the same principles in the case of its citizens of Kurdish origin who are conservatively estimated to be 22-25% of Turkey’s population, or to any other of the ethnic minorities residing in the country. Currently, Turkey’s control of occupied Cyprus goes beyond the issue of the illegal settlers. It includes the presence of nearly 35-40,000 Turkish troops in full political and military control of occupied Cyprus. It involves Ankara’s formulation and approval of all Turkish Cypriot proposals presented in the negotiations. It includes the total control of the finances and the budget of the puppet state and even control of the electricity and water supplied from mainland Turkey to occupied Cyprus. Following the failed coup against Turkey’s President Erdogan in July 2016, Turkish security services operating freely in occupied Cyprus arrested hundreds of Turkish military and civilians, including Turkish Cypriots considered opponents of President Erdogan. Under Erdogan’s Islamic ideology, the original secular Turkish Cypriot society is undergoing a massive Islamic transformation. There are new religious schools and a massive number of new mosques set up all over occupied Cyprus. Turkey has also set up several “universities” in occupied Cyprus, accredited by the Turkish Ministry of Education serving more than 90,000 students from Turkey and other Islamic countries. Ankara has even dictated new policies on the issue of “daylight savings time” in occupied Cyprus, leaving Cyprus in two different time zones! None of the Greek Cypriot concessions have been met with any reciprocity on the part of Turkey. Some of the latest Greek Cypriot concessions include (1) the acceptance of Turkey’s demand for a rotating presidency; (2) the abandonment of the legal principles included in European Court decisions on Greek Cypriot properties confiscated by the illegal regime of occupied Cyprus, and (3) President Anastasiades’ willingness to consider transitional arrangements for the withdrawal of the Turkish occupation forces and ambiguous formulas for the continuation of Turkey’s guarantees, despite his claims to the contrary. Even though there have been many leaks about the latest Greek Cypriot concessions, the fact remains that the Greek Cypriot public and its political leaders are largely in the dark about what actually took place at Crans-Montana. Following the deadlock in the latest talks and allegations of who was responsible for the deadlock, the president of the Republic of Cyprus announced that he would release the minutes his team kept at the Crans-Montana talks. He never did, claiming that he acquiesced to a request by the UN Secretary General. The President also indicated that he will brief the National Council of the Republic of Cyprus and seek the Council’s advice before deciding on the next steps in the negotiations. After weeks of silence and calculated leaks, the President recently released select documents from the recent talks to the members of the National Council. It is not yet known what the President actually proposed at Crans-Montana or the details of the Secretary General’s formula on the critical issue of guarantees. The Secretary General’s 28 September 2017 report on the Cyprus talks characterizes the provisions of the legally controversial article 4 of the 1960 Treaty of Guarantee as “unsustainable”. However, it is clear from his wording that another “guarantee” formula was on the table when the talks collapsed. Cypriot political leaders have yet to be briefed on areas of convergence, divergence, and issues that have been left unresolved in the talks. Only reading between the lines of the Secretary General’s vaguely worded latest report one realizes the depth of the Greek Cypriot unilateral concessions on the road of implementing the unprecedented “bi-zonal, bi-communal federation” which included permanent derogations from EU law and policy. There are serious questions about the President’s willingness to consider the advice of the political parties that are not in the government. A retrospective look at the talks shows that the President has failed to consult his democratic opposition, has totally disregarded their advice, let alone the outcome of the 2004 referendum on the Annan Plan. The great irony is that during the course of the latest negotiations, Greek Cypriots were getting more accurate information about the talks from Turkish Cypriot statements and sources than from their own government. Turkey’s arrogance at Crans-Montana was evident in its absolute demand to retain guarantor and intervention rights in the new Cypriot republic, including the possible establishment of a Turkish military base. Turkey also presented a new demand, that its nationals be granted the full rights enjoyed by EU citizens in Cyprus, even though Turkey is not an EU member. It appears that because of EU objections President Anastasiades opposed that demand even though he left the door open to compromise formulas presented by the UN mediator who unsuccessfully sought ways to circumvent the EU objections in order to satisfy Turkey’s demands. Acceptance of this latest demand would have led to the Turkish colonization of Cyprus and would have opened the door to Turkish migration to the EU. Another major Greek Cypriot concession was made earlier by former President Christofias. He proposed that, as a negotiating incentive to the Turkish Cypriots, the hydrocarbon wealth located in the exclusive economic zone (EEZ) of the Republic of Cyprus be shared equally between the two communities. President Anastasiades eagerly endorsed the idea including the use of Turkish pipelines for the transportation to Europe of Cypriot hydrocarbons. Former UN mediators Downer and Eide incorporated this concession in their resolution initiatives. However, the country’s natural resources belong to the state and not to the communities. Revenues generated from such resources will be allocated by parliamentary action on the basis of budgetary priorities set by the national government. The UN mediator also proposed to mortgage the republic’s natural resources to cover the cost of reunification. The cost is conservatively estimated at over $30 billion. There are no other external funds available to cover these costs. In this manner, Turkey would be relieved of any responsibility for the economic chaos it created in occupied Cyprus or for the consequences and costs of the Turkish invasion on the economy of the Republic of Cyprus. Moreover, reliance on Turkish pipelines would leave Cyprus open to Turkey’s blackmail. Turkey’s demand for guarantor/intervention rights in the new republic became the proverbial straw that broke the camel’s back in the final stages of the Crans-Montana talks. 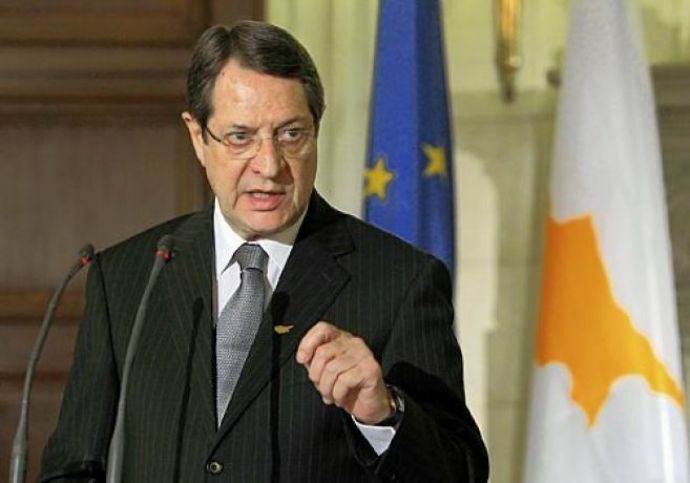 President Anastasiades, facing elections next spring, realized that neither Greece, one of the original three guarantors of Cypriot independence, nor the Greek Cypriot public would accept the continuation of any form of Turkish guarantees or any Turkish military presence. Such proposals would be met with rejection in a new referendum on the UN plan. The participation of the Greek Foreign Minister at Crans-Montana may have saved the Republic of Cyprus from the ambiguous schemes promoted with British help by the UN mediator. These schemes threatened not only the Republic of Cyprus but would also set a dangerous precedent for addressing Turkey’s revisionist claims in the Aegean Sea. The survival of the Republic of Cyprus affects vital Greek interests as well.